A lot of land-based casino players will know slot games like 88 Fortunes and 5 Treasures. These games have been popular since their release and can be found everywhere, in several forms from many different providers. 88 Fortunes has been online available for a while now, but now 5 Treasures is also available. But the game does have some added features and is also called Endless Treasure instead of 5 Treasures. Endless Treasure uses 243 ways and comes with wild symbols on reels 2, 3 and 4. All regular symbols and bonus symbols appear stacked on all reels. This game also comes with special golden coin symbols on all reels and you are able to win one of the four jackpot amounts at random after each spin. If you get 6 or more golden coins you can pick one of two features. All coins that started the bonus will be held and all cash amounts on those coins will be added up. After this you will receive 6 free spins and each golden coin that appears will be worth the total amount of cash. A green coin can also appear, this will be worth the total amount of all coins currently on-screen. You will receive 6 free spins. Before free spins start pick one of the 5 high paying symbols during free spins. The lower symbol will add more symbols than the higher symbol. But during free spins only the chosen symbol will appear, apart from 10, J, Q, K and A symbols. Golden coins will also appear during free spins on reels 2, 3 and 4. These symbols will be wild symbols and will also award a cash reward. This reward will go up for each golden coin appearing during free spins. The total amount won from golden coins will be added to your free spins win at the end. Je can not win extra spins during this feature. During normal spins wild symbols appear on reels 2, 3 and 4. Whenever one or more wild symbols appear you can randomly win the jackpot feature. Pick coins to reveal symbols, match three of the same symbols and win the associated jackpot. Endless Treasure is a great looking slot game and I am sure this game will do amazing. Looking at how popular these games are in land-based casinos. 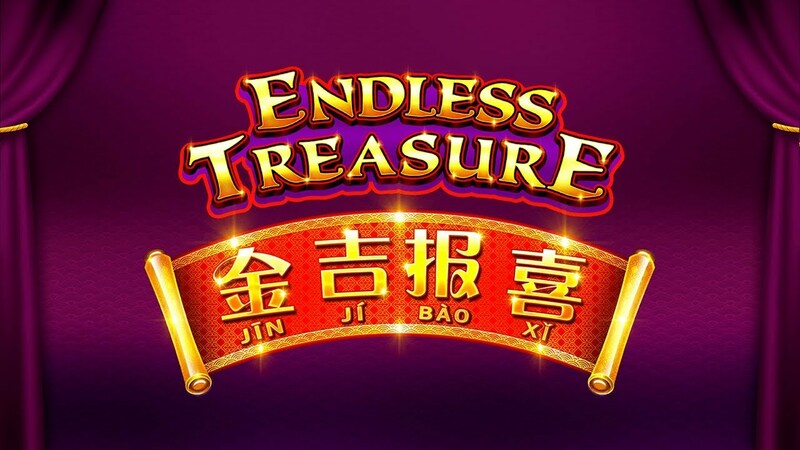 Play Endless Treasure at Casumo or Gate777, among a lot of other NetEnt casinos offering SG Interactive slot games.